Last night I dreamt I was sleeping. I woke myself up and asked myself. What were you dreaming? I said to myself. I was dreaming that I was sleeping. So I said, I guess it goes on then into infinity like that. I said, I guess so. I asked myself, What do you think it means and I said to myself. I think it means we are living in the dreamtime. We were dreaming a sunburst of multi -colored cats. Cats with points of cobalt and magenta, emerald and scarlet, chrome yellow and violet. During the day, the luminosity of kaleidoscope cats burns the back of our retinas. This is the prowling dream whose meaning we have come to know. The carnelian cat walks in both worlds. He is the keyhole that opens into the dreamtime. His eyes are the fiery blue pinwheels from the ruins of magic kingdoms. A petroglyph of a red cat leaps off the rock walls of our dreamscapes. 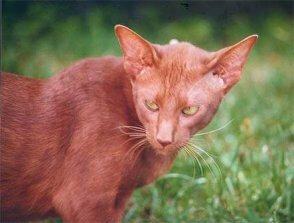 We think the carnelian cat is a tutelary spirit. Every night he tells us to put on the red ochre to keep from getting moonburned. The red ochre scatters from his coat like glitter. When we put on the red mask, we are not recognized by our enemies. Triquetral, we wake ourselves and we are wandering everywhere all night long. We are suffering from nomadism of the soul in a world full of magpies and tigers. Everything is real. It’s like crow medicine for the mind. Did you see the blue sparks shooting from the palms of our paws? We look at ourselves, wounded healers in oracular mirrors, held fast by the red cord, the red clouds, the red of our blood mingling with the beat of a flaming drum. You have to walk backwards to go forward because too many bones have been thrown on the table to return to the way things were. We are so tired we are dreaming that we are sleeping. We lay three days dead in the dark of the moon. We follow the carnelian cat’s paw prints into the whirling wheel of yellow fire and become supra solarized. We are drinking the honeyed flame and everything that we already know has been lost to us, and everything that we need to know has been gifted. So much sun honey has made us photovoltaic. We have sung to the white stars in the whitening sky. We have read the cipher on the raven's wings. We have danced the four winds; we have heard the roar of the red tiger. We have stroked the shaggy heads of the mountains. This is no longer a place for us to hang our hats. This morning the ringing of yellow bells calls me back from the infinity of dreams. As I am kneeling on the edge of the garnet blanket, the molten mead burns inside of me, and the carnelian cat warms himself over my radiant rays. Throwing off the ruby ropes of the dream, I suddenly realize that everything that I learned has no meaning in the world of the non-dreamer. I have brought with me the round smoky quartz pendant, and the yellow crystal, but the lightning lives inside me, and constant is the sound of mother earth purring. Above my house the sun waits for me to breakfast on his radiance. Nothing helps. I ask the carnelian cat to show me how to live in a world of absolute reality when all around me is the insanity of illusion.